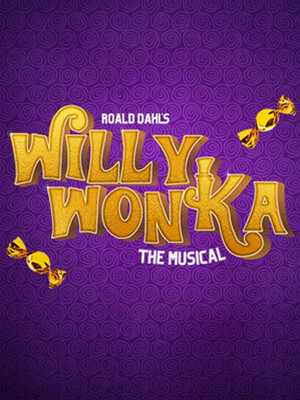 Enter Willy Wonka's world of pure imagination in this captivating adaptation. Lower Ossington Theatre has one of the sweetest treats ready for you to sink your teeth into! One of the most celebrated children's books of the 20th century is being brought to life with all its chocolatey goodness in this captivating adaptation; featuring all the enchanting songs from the famous film, plus new ones to tickle those tastebuds and make this musical even more indulging. What is Willy Wonka about? Willy Wonka, the reclusive genius behind the worlds most mouth-watering treats, has kept the inside of his factory off-limits from the outside world for as long as anyone can remember - nobody knows what secrets lay hidden inside. Until one day, Mr. Wonka decides to envelope five golden tickets inside his world famous Wonka bars as a form of invitation to see his factory beyond the gates. Upon those lucky enough to get their hands on these rare invitations is a young Charlie Bucket, who can't believe his eyes once he steps through the doors of the Wonka Factory, and enters a world of pure imagination. Sound good to you? Share this page on social media and let your friends know about Willy Wonka at Lower Ossington Theatre - Mainstage. Please note: All prices are listed in US Dollars (USD). The term Lower Ossington Theatre - Mainstage and/or Willy Wonka as well as all associated graphics, logos, and/or other trademarks, tradenames or copyrights are the property of the Lower Ossington Theatre - Mainstage and/or Willy Wonka and are used herein for factual descriptive purposes only. We are in no way associated with or authorized by the Lower Ossington Theatre - Mainstage and/or Willy Wonka and neither that entity nor any of its affiliates have licensed or endorsed us to sell tickets, goods and or services in conjunction with their events.